At Modern Romance Travel, we provide our customers with our unique touch of outstanding personal service combined with travel expertise every step of the way. Our solid experience in planning and organizing destination weddings, honeymoons, and family vacations grant all of our customers the professional yet personalized assistance they have come to love us for. We also have that added layer of specialized services to South Asian and LGBT clients. Our core principles in providing luxury all-inclusive life experiences set us apart from typical wedding and travel service companies. Modern Romance Travel is proud to be a family-owned business that is widely recognized by the hospitality industry for our commitment to excellence. Our dedication to the family unit is why we consider all of our partners and customers as beloved extensions of our family as well. Competitive rates. We will match any price in the market. You will have a stress-free planning experience. We will provide you with special access and VIP status to the world’s top resorts and destinations. Our vacation specialists strive hard to exceed your expectations. Modern Romance Travel plans highly customized vacations including: destination weddings, honeymoons, cruises, tours for singles, couples, friends and groups. We look forward to hearing from you soon. Let us help you create your most special memories for life! Melissa Varela, MBA is an internationally-certified Destination Wedding and Honeymoon Specialist. Over the years, she has worked to develop a strong relationship with numerous travel partners, resort management, and wedding coordinators. 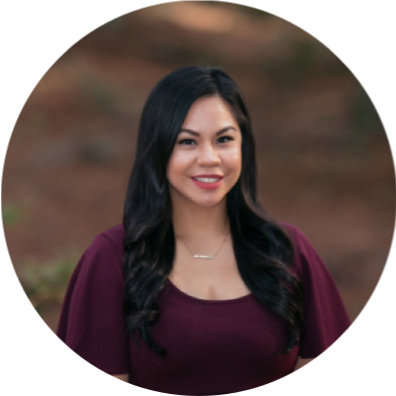 Melissa believes in constantly investing in her education when it comes to the hospitality industry, which keeps Modern Romance Travel several steps ahead of the competition. She is a regular attendee of the most important conferences, expos, educational trainings, and new resort previews in the industry as a way of keeping herself updated on the latest travel trends. From jumpstarting her career in the travel industry in 2010, Melissa is now the proud owner of Modern Romance Travel. In 2017, Melissa was honored with the top Sales Growth award for the West Coast and Central US for Karisma hotels. She is also the recipient of the coveted diamond four award and top ten sales for Generations hotels. She was a recipient of the Gold Crown award for Palace resorts 2017. In 2016, she was recognized as a trendsetter in the travel industry’s WAVE awards and received the Upward Bound, Rock Star Agent Under 40 award. She has also been honored with the All-Inclusive hotel group’s Double Platinum Award in 2016 and Platinum Award in 2017. With years of experience and vast qualifications under her belt, Melissa has served on several advisory boards including Romance Travel Forum and Global Travel Market Place. Her expertise in the field of destination weddings has been featured in several travel publications such as Recommend, Travel Weekly, and Travel Age West, to name a few. Melissa currently serves on the Travel Age West’s first advisory board where she shares her perspective on the industry and provides invaluable insights on travel advisor needs. In addition, several of the weddings she has helped arrange have been featured in the All-Inclusive Weddings Blog. Melissa herself is a destination wedding bride who was married in Bora Bora, French Polynesia. She resides in San Ramon, CA with her husband and two children. Laura Pongol is a true professional whose dedication and care for her clients is evident in the work she does. Whether she is planning a destination wedding or honeymoon, she makes sure that you are taken care of from the first phone call or email until you return home from your journey. She is a big believer in offering exceptional service and knowledge and understands all of our clients deserve that. With these once in a lifetime trips, she will be on your side If anything happens because she truly cares. Laura’s commitment to her clients is admirable. With over 8 years in the travel industry Sara has a passion for booking honeymoons, destination weddings, group and family travel. She is a dedicated professional that will provide the highest quality of service. Sara takes the time to understand her client's needs and travel style. She knows that planning a Destination Wedding or Honeymoon is one of the most important trips of her client's lives, thus her attention to detail is top notch. Sara is a Hawaii specialist and has lived in Southern California and Europe. Aimee’s day to day tasks keep things and operations running smoothly behind the scenes at Modern Romance Travel, but her impact reaches far beyond that. Simply put, Aimee makes sure that everyone is organized and up to date with their own duties. She is superb at her job of ensuring that client needs are met and does not hesitate to go the extra mile to make their experience extra memorable. Some may refer to her as a vacation concierge or even an administrative assistant, but to us she is nothing short of invaluable. Much of what Heidell does is behind the scenes at Modern Romance Travel, but her support plays a tremendous role in the company. Heidell keeps everyone organized. She will go the extra mile to make sure that our clients are taken care of. Call her vacation concierge or administrative assistant, but we call her irreplaceable.